We’re excited to offer the use of our moving truck to buyers, sellers, and community and charity organizations. There is no charge for using the truck, but you are expected to return it with a full tank of fuel. All drivers must be at least 25 years of age. We will make a photocopy of your driver’s license and proof of auto insurance. You will sign the rental agreement and receive the keys. When you pick up the truck, it will have a full tank of fuel. It also features a loading ramp and an appliance dolly. 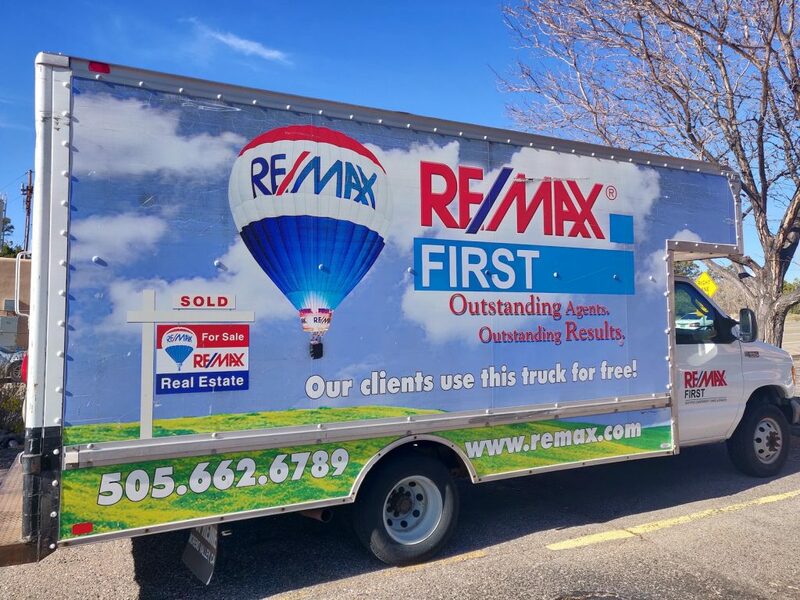 The truck is available on a first-come, first-served basis within the first 6 months after you purchase or sell a home with a RE/MAX of Los Alamos agent. Please call us at (505) 662-6789 to reserve your preferred date. Weekends and the end of each month are particularly busy, so call early! Please exercise caution in your move!